I't is my first post on this forum, so hello to everyone. Yesterday I have installed opnsense on my virtualbox machine to test it before installing it on a Dell Optiplex PC. Everything works as expected, which means great . Here comes the problem. I'm not yet traffic shaping guru and I don't know how to accomplish one task. I have 10Mb download and 2Mb upload isp connection speed. I would like to share it evenly with 5 users. I mean when everybody downloads something from internet each of the users get 2Mb download speed. When only one user is connected to router and bandwidth is free that user downloads at max 10Mb speed. Is this possible ? I did that using opnsense wiki reading "share evenly" but it doesn't work that way. It just allocate max 2Mb to everyone. PS. 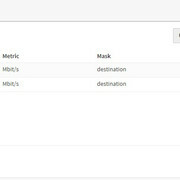 The only exception, I have set my upload pipe with "source" as mask (not "destination"): "upload" + "destination" means destination is outside/ public servers, and I want the shaper to share the upload bandwidth between internal clients (source). I have the same setup, and works up to the limit you define in the pipes: when our ISP increased the service bandwidth from 100 Mbps to 1 Gbps I have forgotten for about 15 - 30 minutes to change the value in the pipe, so nobody could pass the 100 Mbps limit even if alone in the entire network. 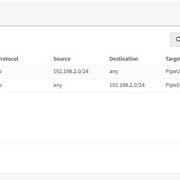 Pipeup-4Mb is wrong description, don't look at it It should be Pipeup-1Mb in pipes screenshot. Here is the traffic graph when both users are downloading. It clearly shows that both of them are downloading at 4Mb, wchich gives 8Mb total. I don't even know what exactly I'm doing wrong. Mayjbe this is because of Virtualbox. Could any of you post your traffic shaping config ? It would be very helpfull. I only don't bother specifying IPs/ networks in rules for WAN upload/ download, I hit "Advanced" and set interface direction only. And, for testing, I changed the pipes to 100 Mbps, and it works as you said (meaning wrong): I asked a colleague of mine to speedtest simultaneously, and we both obtained 100 up and 100 down. I think it's a bug?!?! Or maybe the system is supposed to limit to 100 for every client up for as many clients as the total throughput? Starting to lower for every and each only when total throughput is not enough? But then, how will the shaper would even know what total bandwidth to share evenly?!?!?! LLE: No scheduler type made any difference whatsoever, so I disabled TS completely, since it appears the only thing it does is to limit the bandwidth for each client to the maximum configured bandwidth in pipe(s) (and for me this is equal to the total bandwidth I have from ISP), in the meantime making the graph spiky, taking its toll on the quality of the connection. So it looks like I'm not the only one with this problem ? Set up two pipes, one for download (10Mbps) and one for upload (2Mbps). Then, create two queues. The first queue will be for your download pipe. 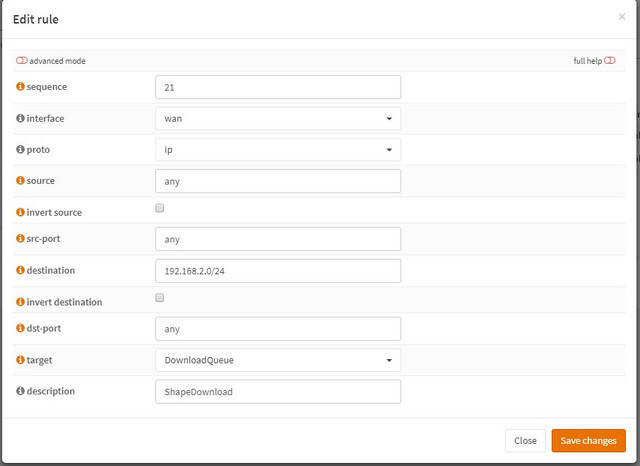 Set this queue to download pipe created, set weight to 100, then set mask to destination. The second queue will be for your upload pipe. Set this queue to upload pipe created, set weight to 100, then set mask to source. Just remember, if you mark on destination, it's all devices that share it. 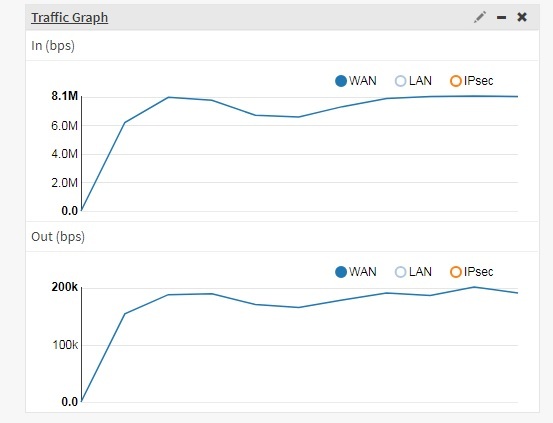 So every single device that's connected split the speed up amongst it including any VOIP phone, wifi connected phone, etc. I do a bit more granular and have 3 queues setup with a high / med / low and split up my traffic via that route. Can you post the rules/screenshots that you setup? "It doesn't work" gives really 0 to help out with as we can't see what you've configured.